I'd like to start off by saying i regret nothing! That being said i'd like to bring to your attention the current situation in Egypt where a bunch of decent fellows are partying like it's 1904. 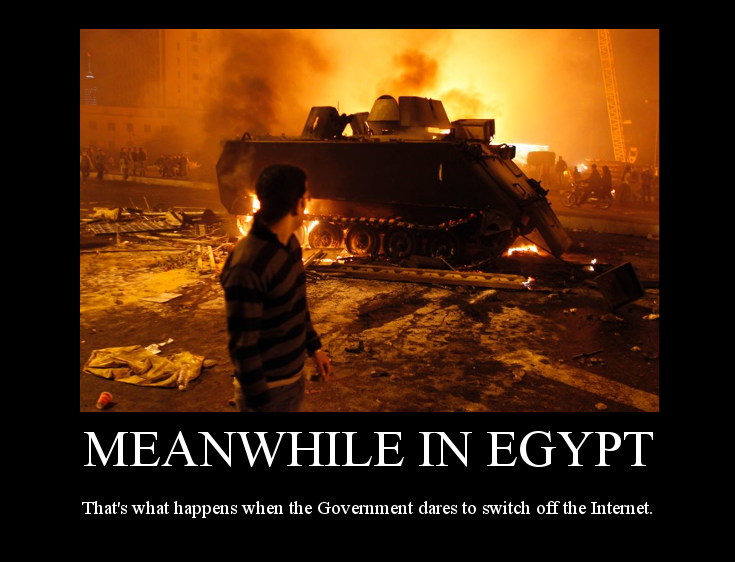 On a more serious note the revolutions started sometime this month after their glorious leader for 30 years (Hosni Mubarak) محمد حسني سيد مبارك decided it would be cool to turn off the internet. Lulz ensued and what started as a mild peaceful protest turned into a flame war.On top of all that this wench thinking that her opinion on the matter was somehow relevant started babbling non stop about the situation down there. She was promptly told to gb2kitchen. I love that motivational poster. 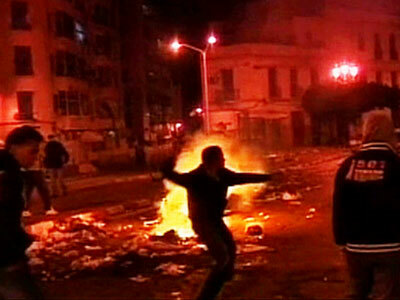 I keep watching to see more developments. Can use som troll lessons. Following. 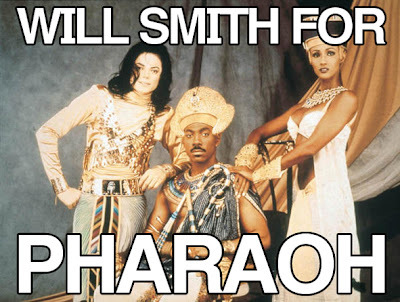 Will Smith would be a great pharaoh. Hahaha! I love your theme man, and your sense of humor! i vote him for president, 2nd black one. Thats not Will Smith...Thats Eddie Murphy....Am I not getting some inside joke or something? Oh can't believe i made such a mistake. Thank you Adam for pointing that out. Haha No worries still funny though.